Cattails aren’t all bad. Besides adding some beauty to the shoreline of your lake or pond, they provide a safe area for small fish to hide from their predators, birds build their nests in them, they help break the water to naturally assist in erosion control. They can provide shade in areas and they create a safe haven for bugs and other small creatures to help with the food chain of your body of water. Another forgotten positive of cattails is that they help control geese as they typically don’t want to tread through them out of fear of the predators that may be lurking. So it’s never a bad thing to leave a few cattails along your shoreline but it’s important to keep them controlled. Follow our tips below to reclaim your lake or pond and keep cattail growth and spreading under control. We believe that the best tool for cutting cattails is the AVG (Aquatic Vegetation Groomer) This gas powered underwater weed cutting machine can cut through the toughest aquatic plants. The AVG can be used underwater because it has a “sealed” gear box which makes it ideal for cutting aquatic plants in up to 4 feet of water depth! The gear box and cutter blades are what makes this tool so unique. Unlike traditional seaweed cutters, the cutting blades on the AVG "reciprocate" instead of spin. This makes the machine easy to control and eliminates splash back from the water. This powerful machine is capable of cutting tough, dense weeds such as cattails, reeds, lily pads, and even thick wood stemmed plants. 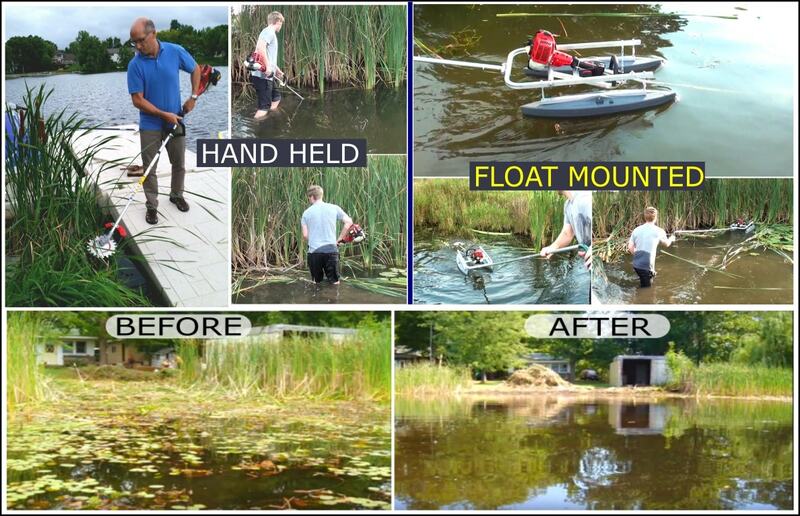 Users also have the option of adding the Float Attachment which is great for cutting aquatic vegetation in hard to reach areas! 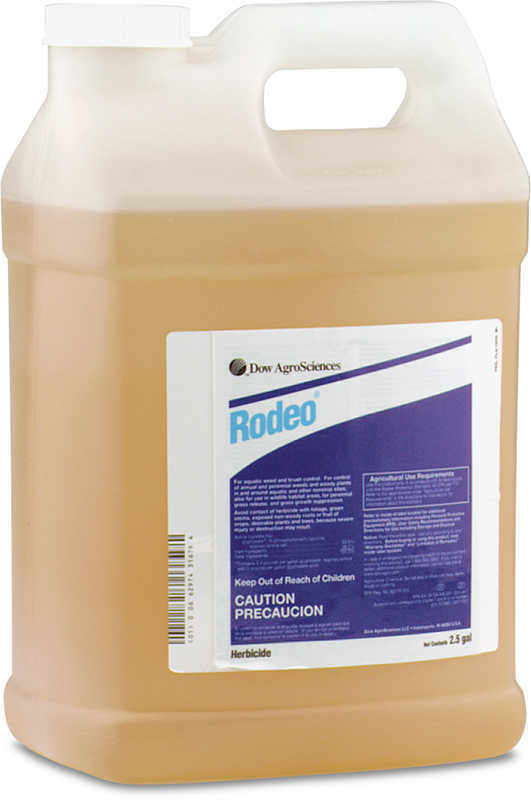 If you are looking for a Chemical to kill cattails & bull rush we recommend using Rodeo Herbicide. Using a combination of the herbicide and Aquatic AB Adjuvant will increase the herbicides effectiveness. Apply onto the water surface where the cattails are growing. Allow for the mixture to absorb into the plant and also the root system. Absorption into the roots may take a few weeks as this is the most difficult part of the plant to kill. If you don’t allow the few weeks to pass and you cut too early it will allow the root system to stay alive. Keep in mind that it is best to spray the herbicide on the area with cattails when they are at least 12 inches out of the water and when there is no rain and low wind in the forecast for at least 24 hours. The best time to spray in the season is anytime between July and the first frost as cattails are thriving and growing the most during this time period. Once the herbicide has had a chance to fully penetrate into the cattails root system, they will turn brown and start to wilt. This is the time that you should remove the cattails using a rake or other weed removal tools. Failure to do so will allow the dead cattails to decompose and turn into muck which will act as a fertilizer for next season’s round of cattails. We offer many other tools designed for cutting lake and pond weeds, but the AVG is the best for cutting cattails. Cutting at the base of the cattails allows for easier removal with your rake. 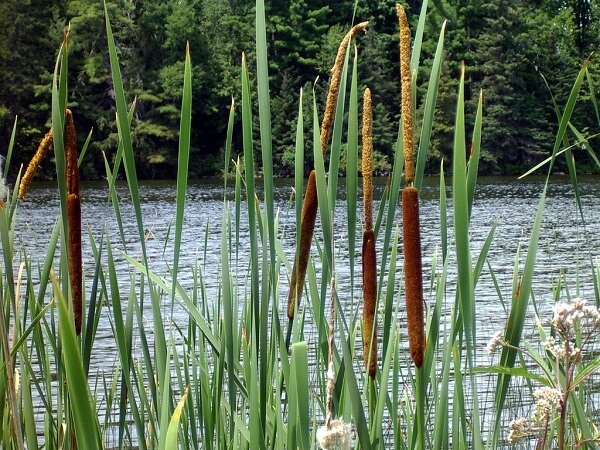 Yes, cattails and other aquatic plants can add some natural beauty to your body of water but if you don’t stay on top of their growth and spreading, it can turn into a lakeshore maintenance nightmare. Cattails have extensive root systems so stay consistent with your methods and prevent them from taking over your lake or pond shoreline. 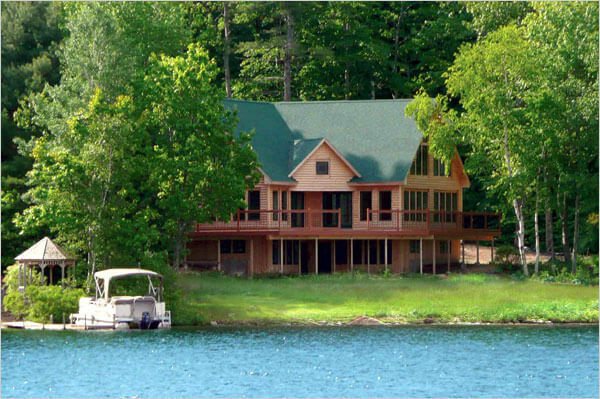 NEED HELP FINDING THE BEST PRODUCTS AND SOLUTIONS THAT WE RECOMMEND FOR FALL POND AND LAKE CARE?